The fourth edition of the Pakistan Super League is set to be a grand affair with many more foreign cricketers showing their interest in the league including the South African great AB de Villiers. The PSL Draft this year was held in Islamabad on November 20, 2018 from 1:30 PM Pakistan time (PKT). Now, the PCB have announced that the PSL Replacement Draft will be held on January 24, 2019. This will be hosted at the Gaddfi Stadium in Lahore. Teams will be allowed to pick up a 21st player in their line-up, but only local players will be allowed to feature in the Draft. Lahore Qalandars brought in Hardus Viljoen and David Wiese and they will play in case AB de Villiers, Corey Anderson and Carlos Brathwaite don’t figure in all their matches because of a variety of reasons. With Steven Smith ruled out for the Multan Sultans because of an elbow injury, Andre Russell has made it to the squad while James Vince has replaced Joe Denly in the same team. Peshawar Zalmi brought in Andre Fletcher for Waqar Salamkheil, while Dwayne Smith comes in as a cover for Dwayne Bravo because he won’t be joining the Quetta Gladiators earlier. The Retention and Trading window for the 2018 Pakistan Super League opened on September 29 and teams were given an option of retaining up to 10 players in the team. Teams were also now allowed to sign up new players directly. All new players must enter the players draft to get picked. Players who were picked up last season have had their categories updated if needed. The draft will allow teams to pick up players in a pre-decided order which will be decided on the basis of the previous year’s rankings. The exact order of picking players is yet to be decided and will be revealed soon. However, what was also decided was that the fifth season will see this order being random. Pakistan Super League draft results and live stream will be placed below. You can find the complete PSL Squads for the 2019 edition here. This year will be no different though and Geo Super TV channel is set to broadcast the PSL draft live on the aforementioned date. The HBL Pakistan Super League player draft will be broadcast online on YouTube. PSL Draft results will be placed below. Some of the retained players before the PSL 4 draft include Luke Ronchi, Shadab Khan, Faheem Ashraf, Sahbizada Farhan, Colin Munro, Mohammad Amir, Babar Azam, Colin Ingram, Imad Wasim, Usman Shinwari, Fakhar Zaman, Shaheen Shah Afridi, Wahab Riaz, Hasan Ali, Darren Sammy, Kamran Akmal, Sarfraz Ahmed, Sunil Narine, Shane Watson, Rilee Rossouw, Umar Akmal, Shoaib Malik, Junaid Khan and Mohammad Abbas. Some of the top players who will feature in the PSL draft include AB de Villiers, Steven Smith, Alex Hales, Ben Cutting, Carlos Brathwaite, Daniel Christian, Dwayne Smith, Ian Bell, Joe Denly, Kemar Roach, Lasith Malinga, Lendl Simmons and Luke Wright from overseas, and Ahmad Shahzad, Aizaz Cheema, Anwar Ali, Shahid Afridi, Asad Shafiq, Azhar Ali, Bilawal Bhatti, Fawad Alam, Harris Sohail, Hussain Talat, Imam ul Haq and Imran Farhat from Pakistan. Interestingly, Misbah-ul-Haq, who had earlier decided not to play in the PSL, has now said he will be a part of the PSL Draft as well. As far as the overseas cricketers are concerned, AB de Villiers will draw a lot of demand from the franchises, but there’s also Steven Smith, the former Aussie captain who is serving his ban at the moment, along with Chris Lynn, Brendon McCullum, who was released by Lahore, Colin Munro and last season’s top run-getter Luke Ronchi. In the Diamond Category, Ian Bell, Craig Overton, Joe Denly and Lasith Malinga will all be a part among others, while Michael Klinger, Sikandar Raza, John Hastings, Liam Dawson, Samit Patel among some others form a part of the Gold Overseas category. 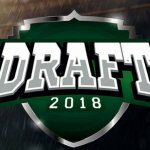 The exact Draft players list can be found below. Total purse of USD 1.2 million for each team to pick a maximum of 20 players in the squad. What do you think of this new PSL Draft? And who do you think will be retained by their teams and which players will be released? Let us know in the comments below.